15 left in stock. Delivery time: 3-5 working days Replenishment is already on the way. Our cool Industrial Extension Flower attachment is a upgrade for your industrial piercing. This piece needs to be screwed inbetween two stems. The attachement is made of high-quality stainless steel and possesses a pretty flower design. This piercing jewellery is unique and is definitely an eye-catcher! 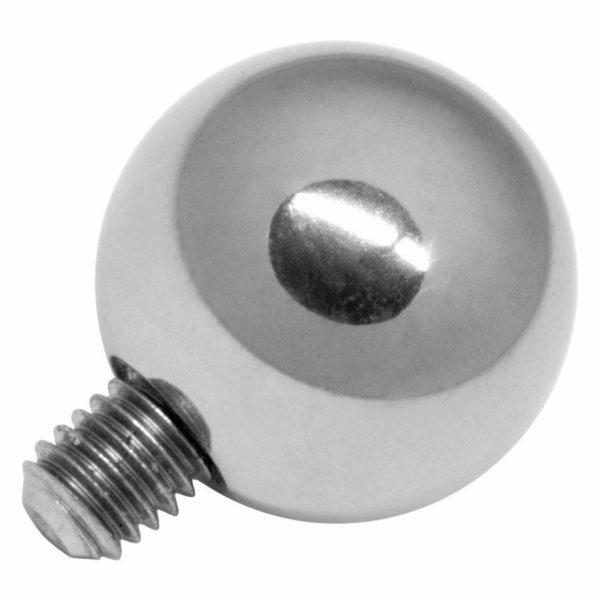 The industrial attachment is made for stems with a strength of 1.6 mm and has a vertical diameter of approx. 10 mm and a horizontal diameter of approx. 15 mm (including both caps).